View the latest location of your remote workers. 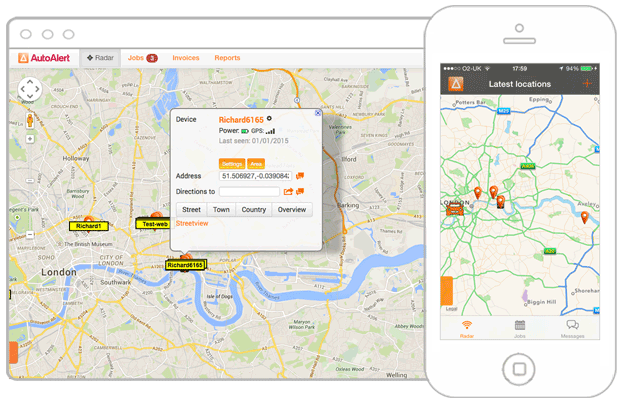 Zoom in and out, compare locations against traffic and download reports such as idling time, activity and routes taken. You can also create areas and receive alerts when one of your employees enters and/or leaves that area. Choose a gps tracking device, or view video. 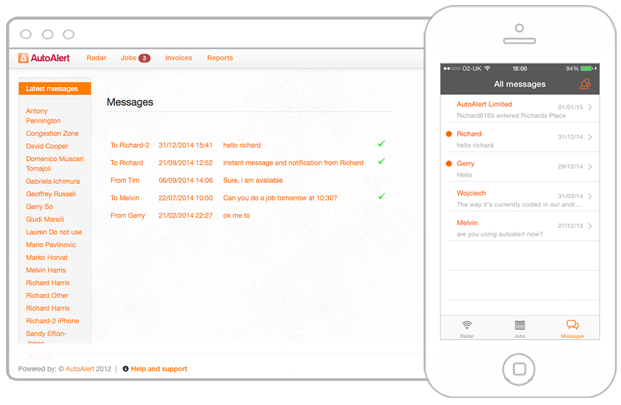 Communicate with your remote workers from your desktop or mobile phone. Messages can be sent at a later date to remind you or your staff. You can even tweet a message from your desktop. Find out more about messaging, or view video. Generate reports such as routes taken, driving and working times, mileage, stationary times and much more. 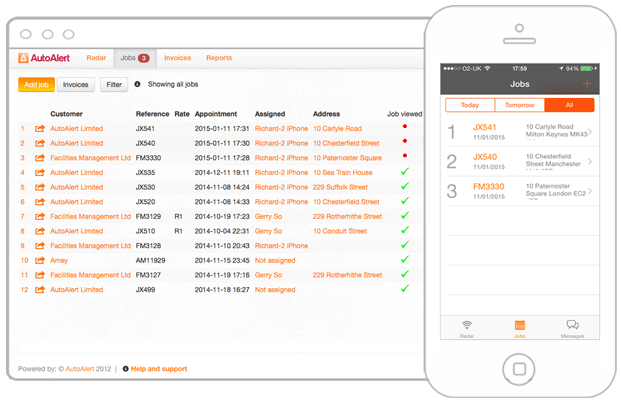 If you use AutoAlert, you can also get access to Okappy which allows you to manage your jobs. 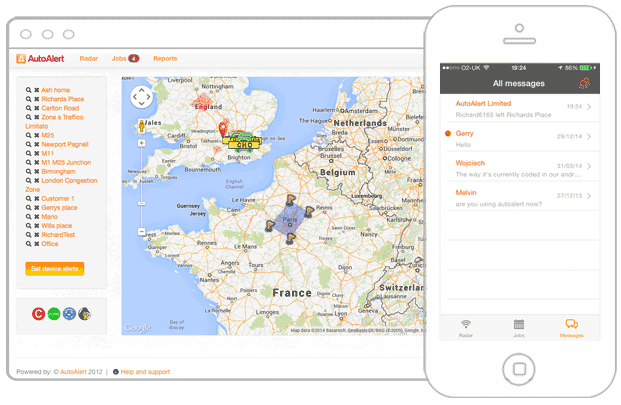 With Okappy you can connect to your employees, customers and subcontractors. Add jobs for your staff or sub-contractors or receive them from your own customers. 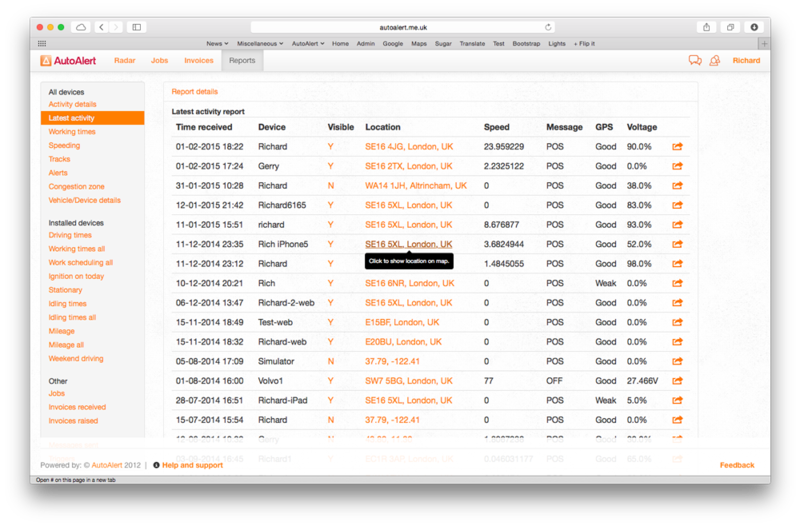 You can view the real-time status of your job and share it with your customers. Once a job is complete, you can raise an invoice at the click of a button.